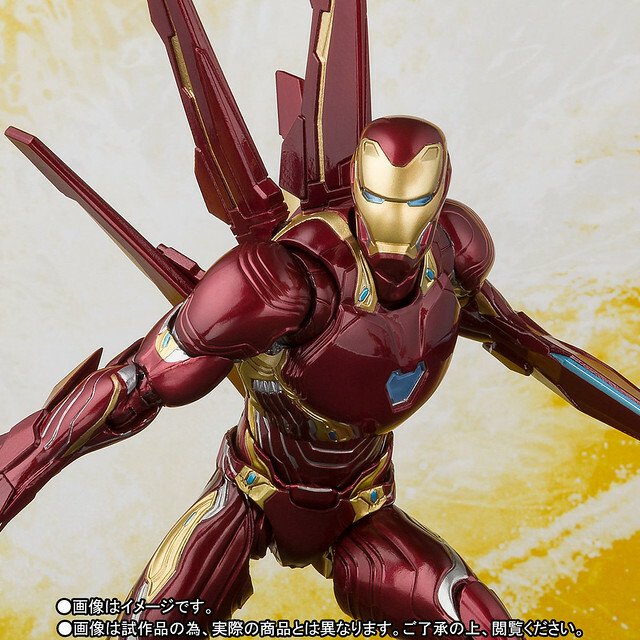 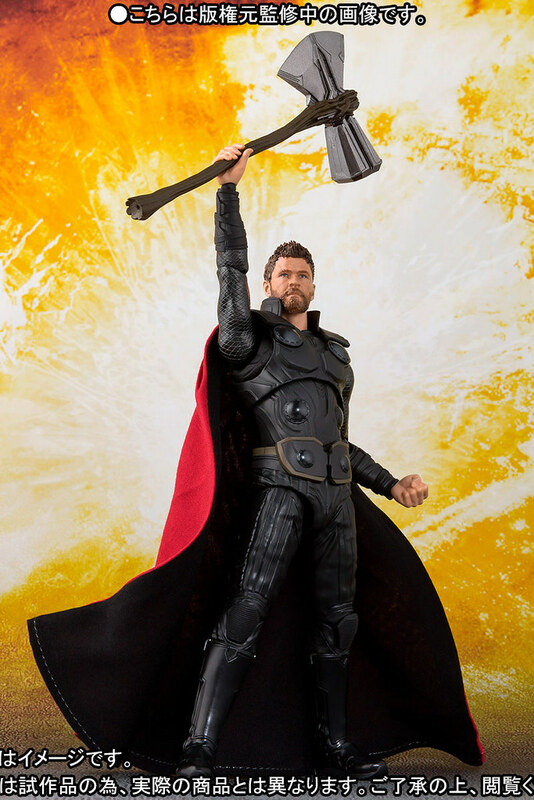 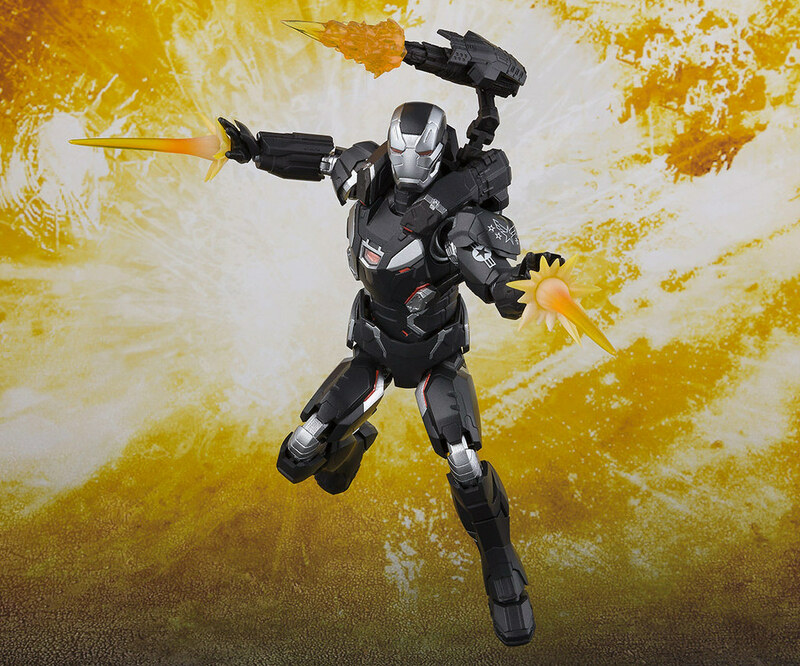 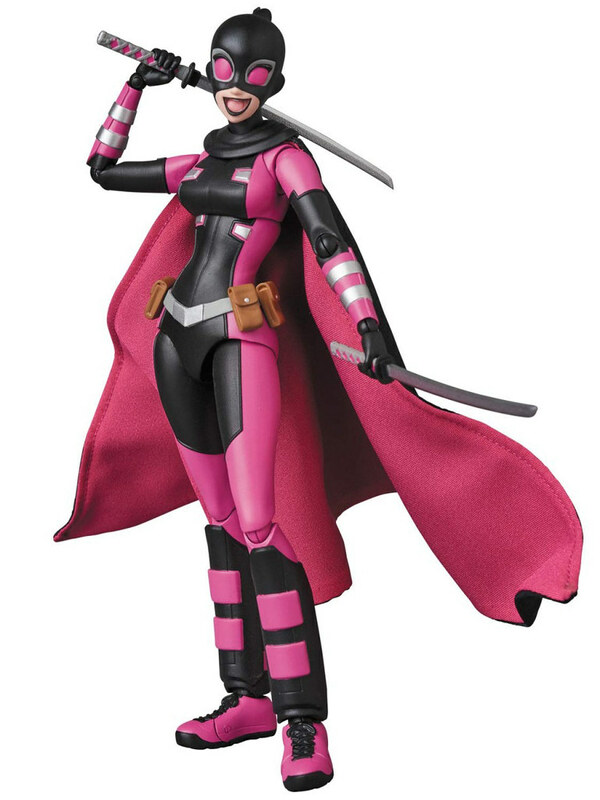 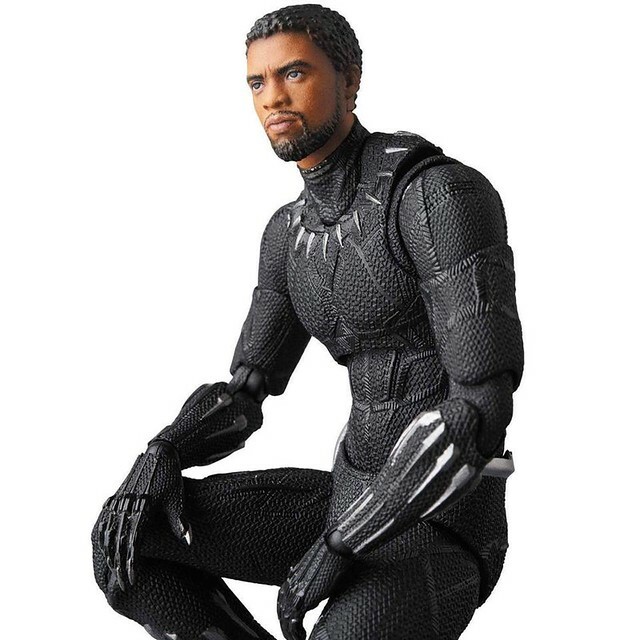 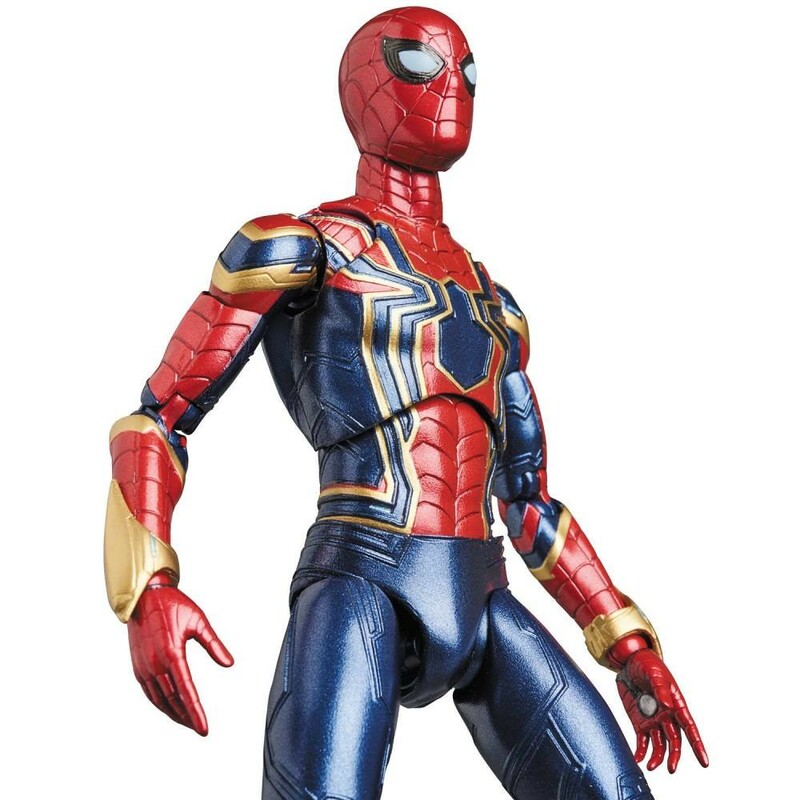 Though Avengers: Infinity War is nearing the end of its theatrical run, the merchandise for the film is still going strong, especially for standout characters like Iron Spider with many fans picking up the figure from S.H.Figuarts. 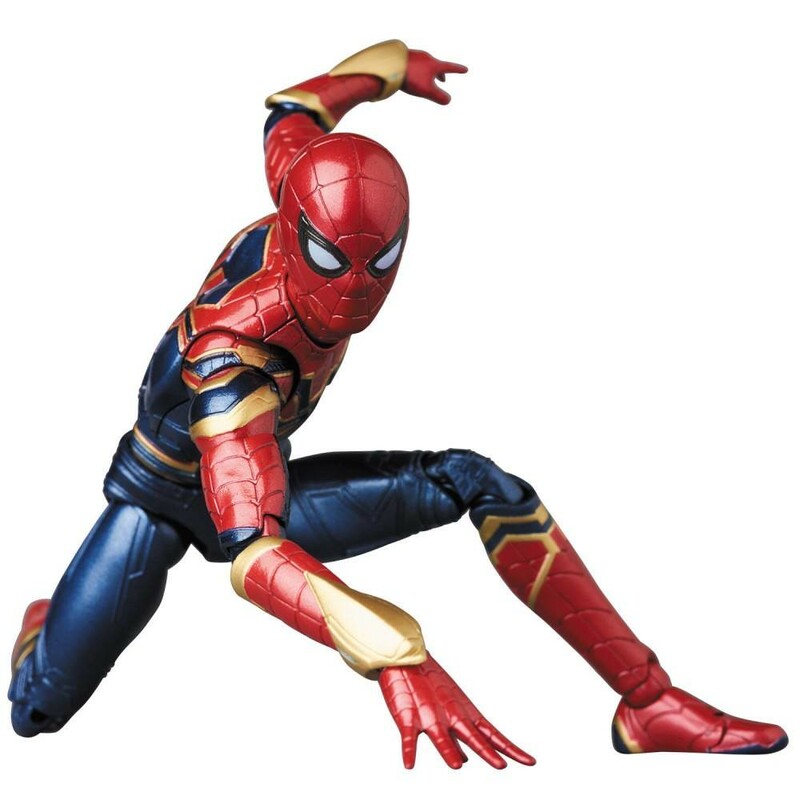 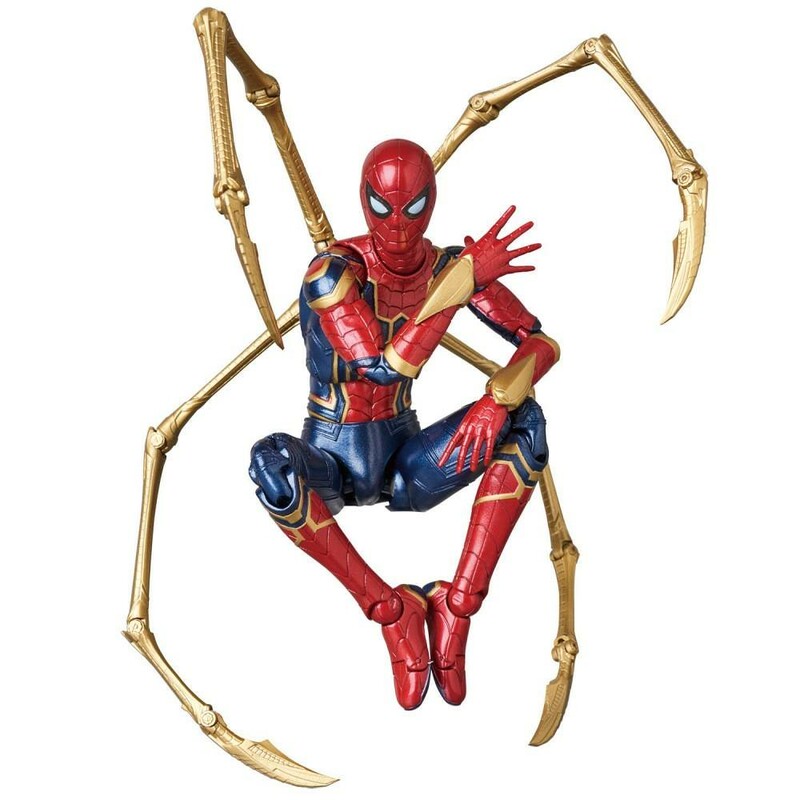 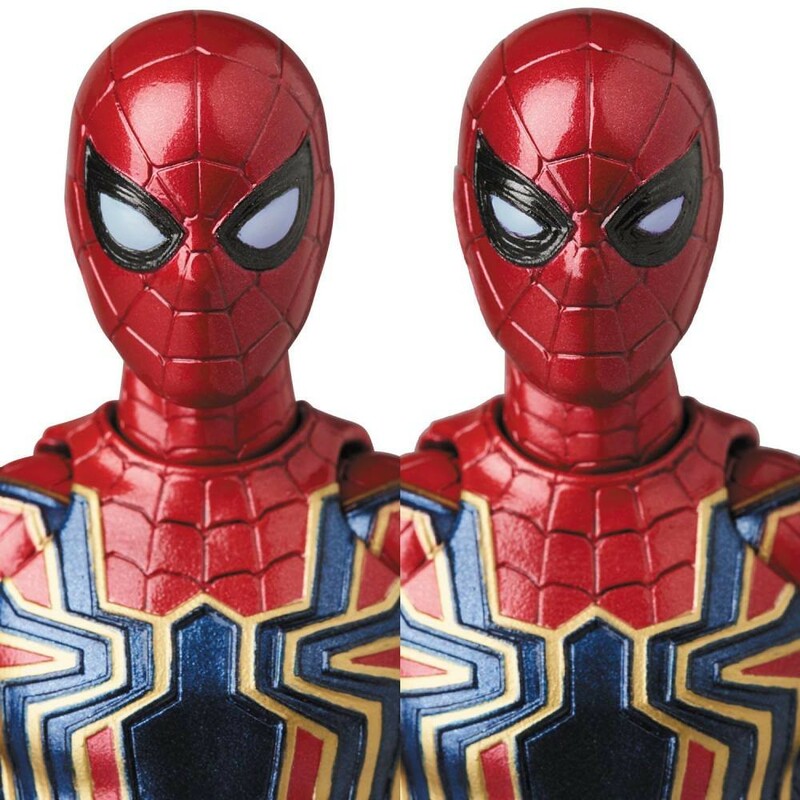 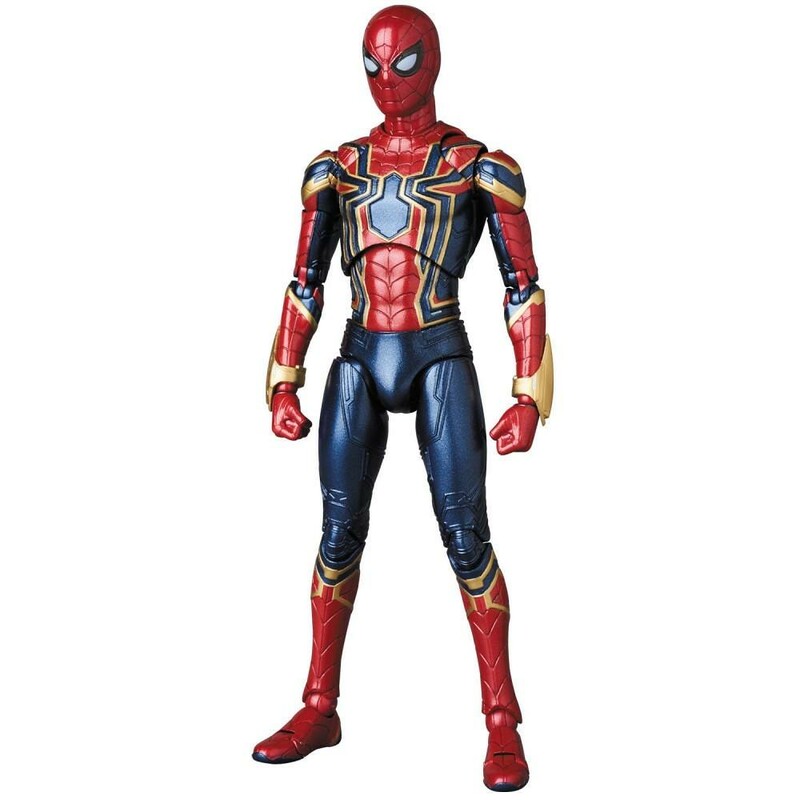 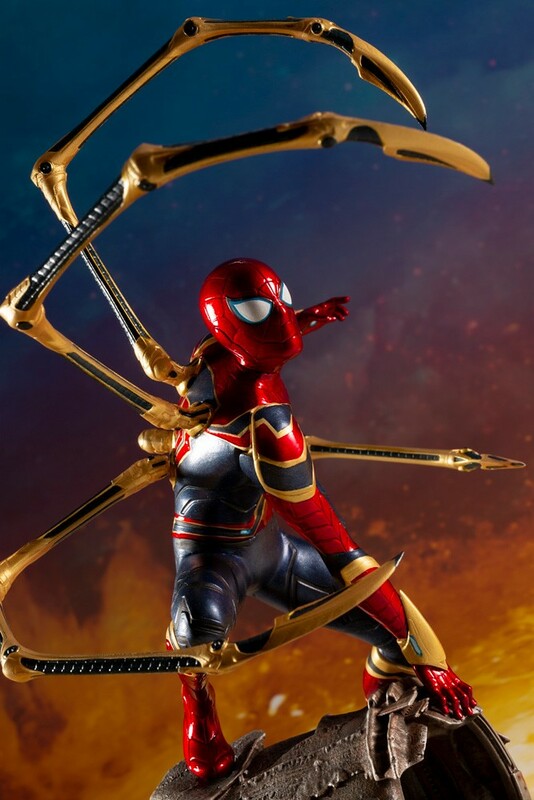 Just recently Japan’s Medicom Toy unveiled its OWN Iron Spider figure from its MAFEX action figure line, currently slated for an April 2019 release! 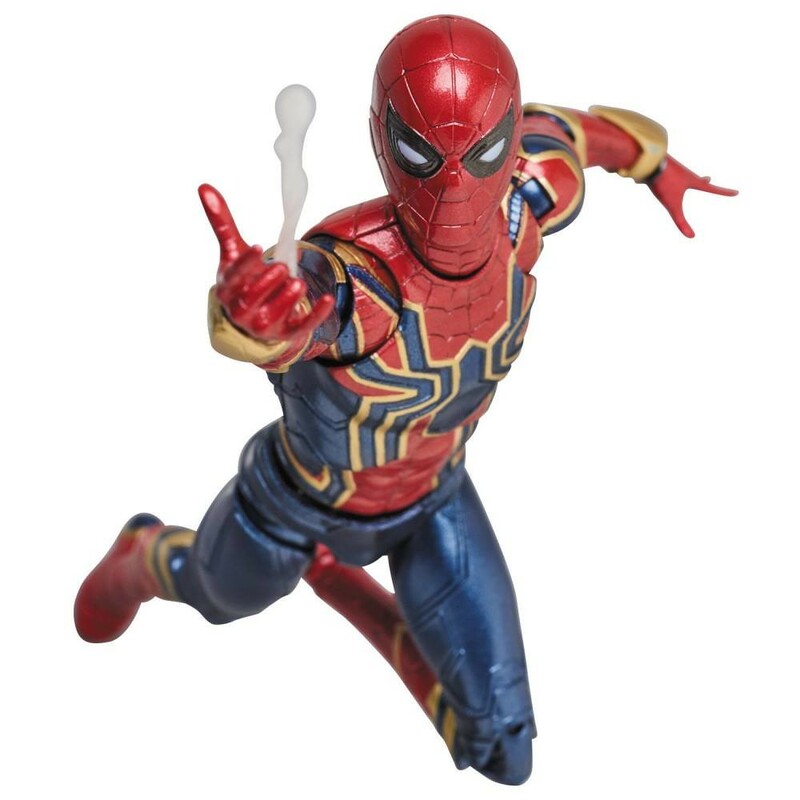 MAFEX Iron Spider recreates Peter Parker’s upgraded suit from Infinity War with shiny metallic paint for the perfect look and texture. 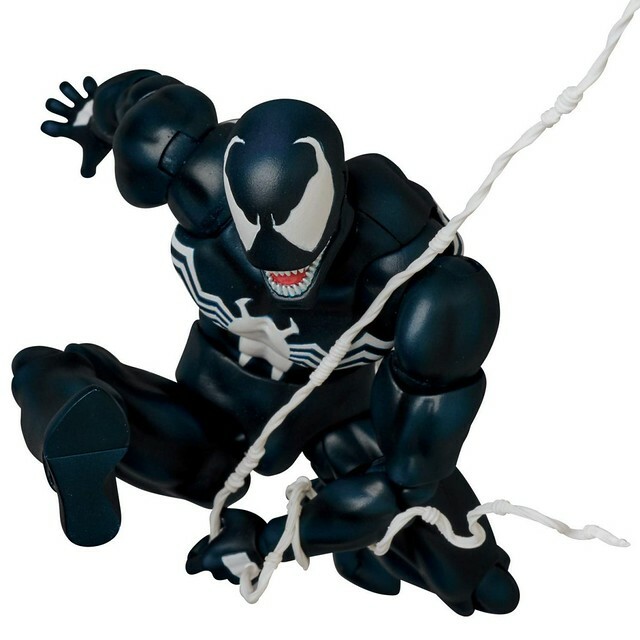 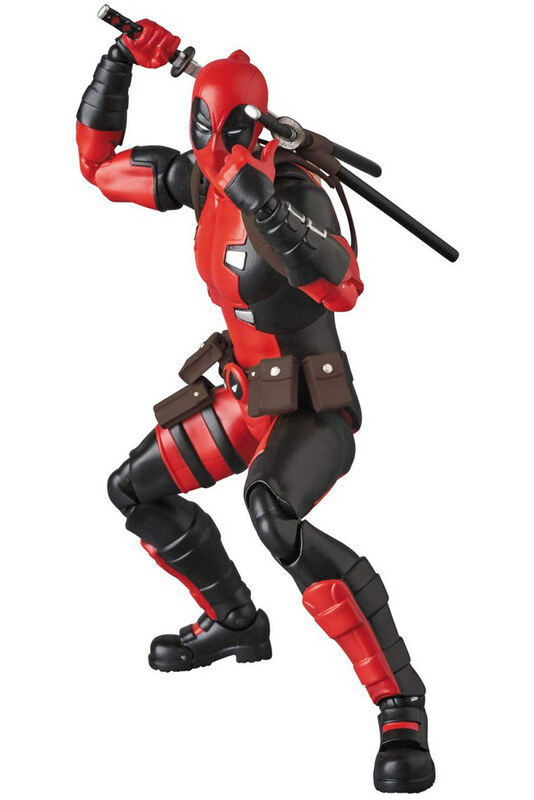 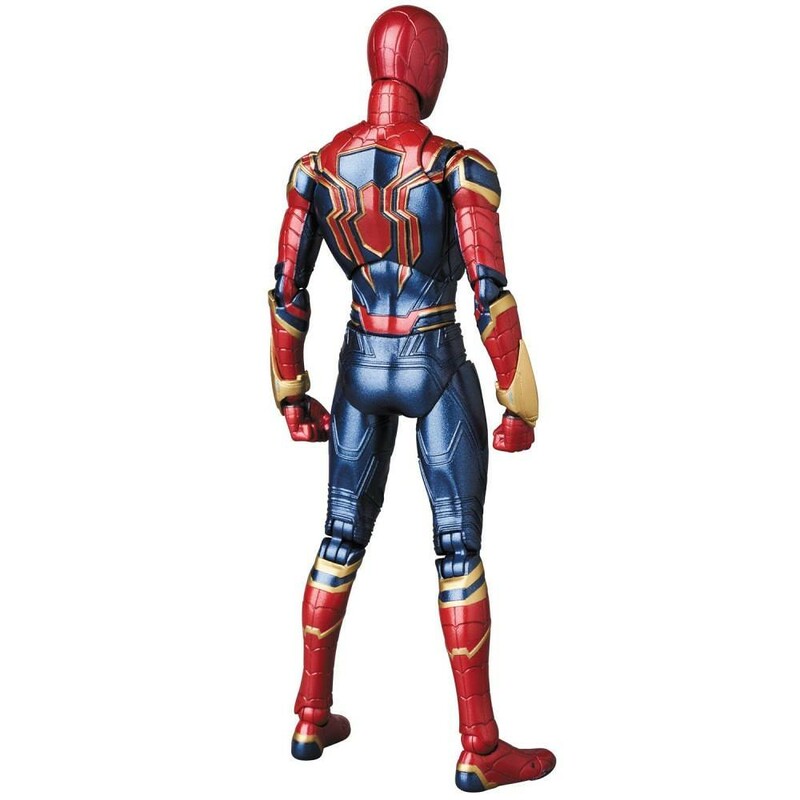 The lines in his suit are carefully drawn and magnets have been implanted in his hands and feet so Spidey can cling to any metal surface. 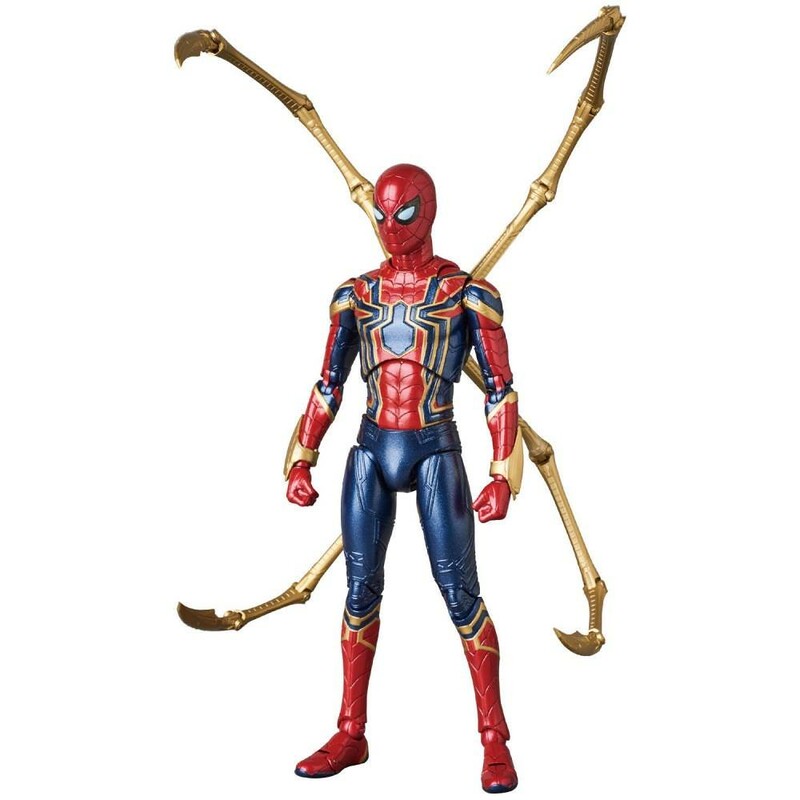 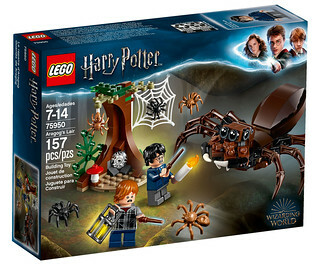 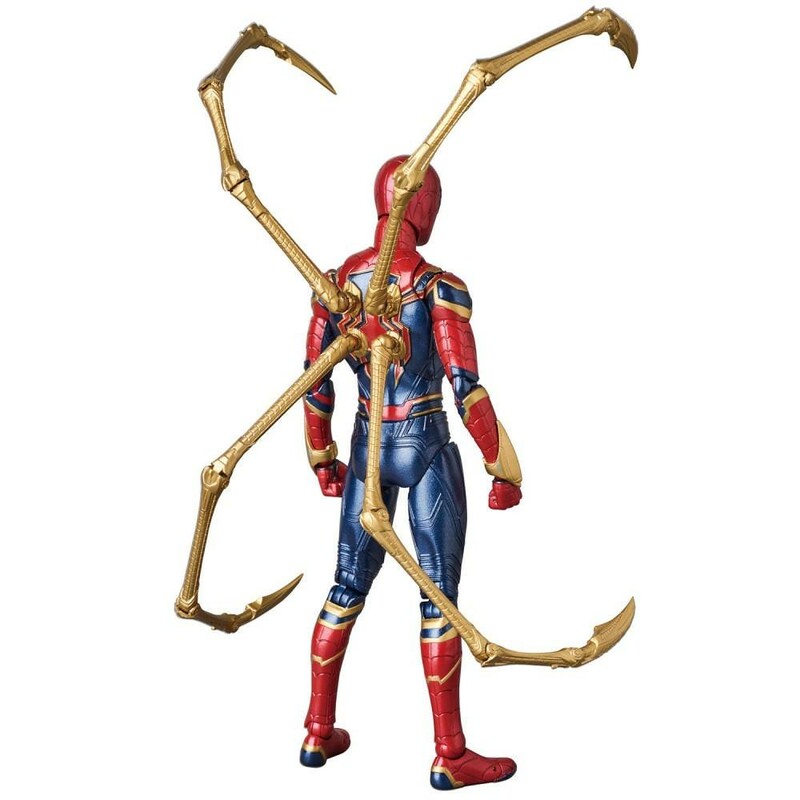 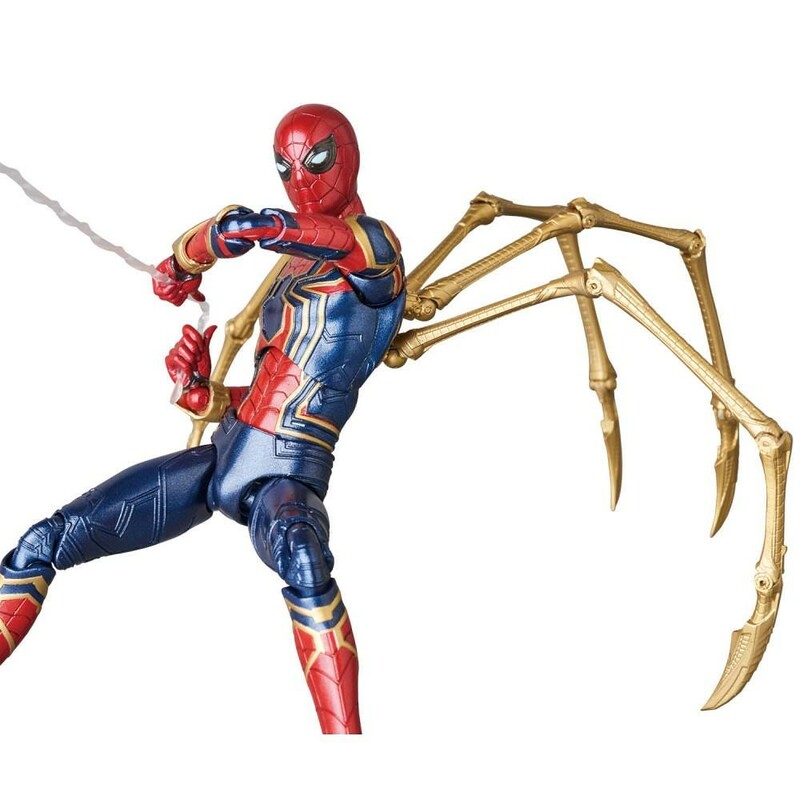 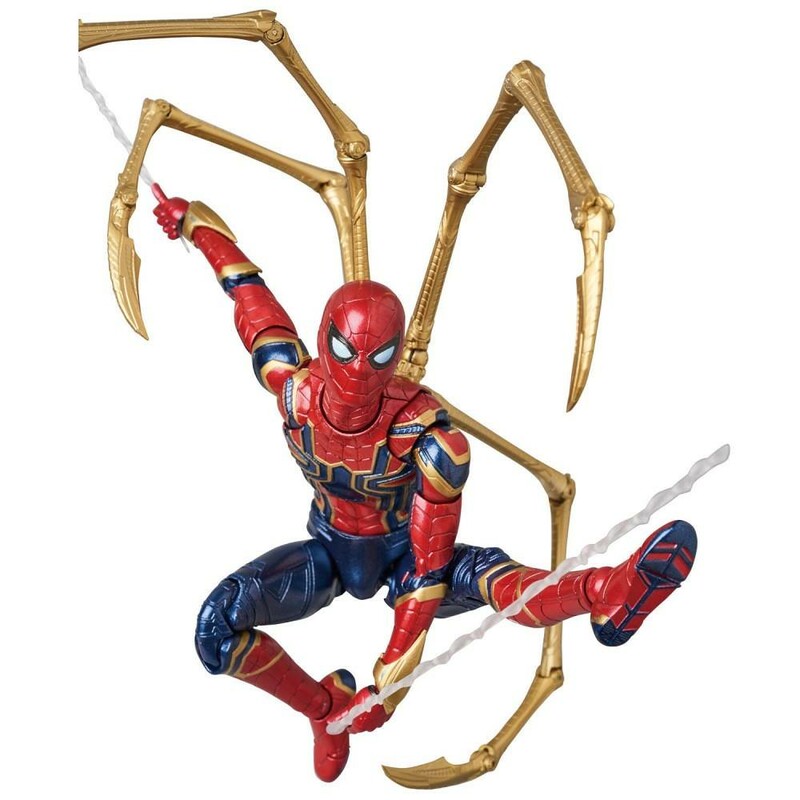 An interchangeable back piece features Iron Spider’s four iconic mechanical arms and the figure also comes with two head sculpts as well as six webbing effect pieces!